We are pleased to announce that Bryan Ortner has become a member Team TRAPA! Prior to joining TRAPA, Bryan was the Manager of Olympic Industries’ where he started their log export and custom cut department from scratch quickly developing it into a meaningful and profitable division. Bryan will be bringing to TRAPA a host of new log suppliers and export programs as well as some custom cut opportunities, primarily in Cedar, Yellow Cedar and Hemlock. Bryan has traveled extensively in China on log business and throughout BC in search of new supply. He brings with him a wealth of knowledge, experience and enthusiasm for the business. On top of Bryan’s industry experience he is a fluent Mandarin language speaker having lived in China and Taiwan for extended periods of time. Please join us in giving Bryan a warm welcome to our team! Griffin Augustin has joined TRAPA as Vice President of Business Development. Griffin joins TRAPA with twenty-five years of industry experience. He started his career at Kalesnikoff Lumber Company spending his first six years as a Development Forester and the following two years in Logistics and Operations. ln 2002 Kalesnikoff promoted Griffin to Sales Manager where he remained until the end of July this year. During his tenure at Kalesnikoff, Griffin handled the sawmill, reman mill sales and market development, was a key individual on the senior management team responsible for many successful capital projects, and was accountable for securing the sawmill's log supply. During the time Griffin was in charge of business development, Kalesnikoff tripled its revenue. Griffin will be a member of the senior management team at TRAPA. His initial focus will be on maintaining and growing our valued relationship with Kalesnikoff Lumber. We are extremely excited to have Griffin come on board bringing TRAPA additional lumber supply, sales opportunities, and most important of all a broad range of experience from the forest, to sawmilling, to sales, through to end use remanufacturing. Please join us in welcoming Griffin to our growing team. TRAPA Japan has moved! We inform you that we have moved and been working at new office as of November 13th (Mon). Please send the mail to following address from now on. October 2015 – Glenn Mattice has joined TRAPA as Senior Export Lumber Sales Manager. Having worked in the industry in both domestic and export lumber sales for over almost thirty years, Glenn brings with him a wealth of knowledge and experience required to expertly service the complex export markets. Glenn has worked in many facets of softwood lumber sales from domestic business into the Western U.S. markets, followed by specialty product sales and marketing primarily into California and then embarking on various export sales programs. Prior to joining TRAPA, Glenn was responsible for developing Conifex Timber Inc.’s export sales platform into the Asian markets. Please join us in welcoming Glenn to our growing team of lumber and log professionals. 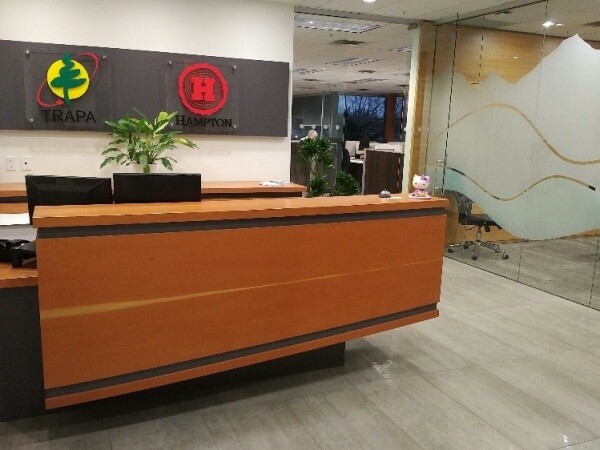 September 2013 – After operating out of the Viking Way office for thirty four years, TRAPA along with Hampton Lumber Sales (HLS) Canada moved to a brand new built-out premise in the Richmond Corporate Center on Vanier Place. With the exponential growth in TRAPA’s overall business and the start-up of HLS Canada (VP Operations – Kip Fotheringham) finding a new office that not only had enough space for today and future growth but also showcased softwood lumber in finished forms was very important. We welcome our business partners to come and visit us in the new TRAPA headquarters - #368 – 13091 Vanier Place, Richmond, BC V6V 2J1. 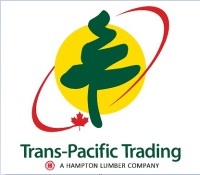 We are extremely pleased to announce that Hampton Lumber Sales (“Hampton”) of Portland, Oregon, has acquired Trans-Pacific Trading, Ltd. (“TRAPA”) of Vancouver, B.C. and formed a joint operation focused on expanding Hampton’s export sales activities. 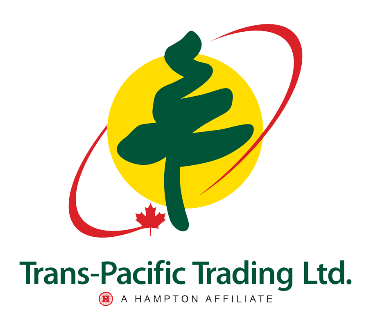 Over the last three years, TRAPA has evolved into one of Hampton’s most important trading partners, helping Hampton establish a marketing presence in other global regions. TRAPA was first opened in 1954 and Jim Tyrer, the current President, a third generation family member and grandson of the TRAPA founder, will remain President of TRAPA. TRAPA specializes in selling a variety of building products to more than 20 countries, but primarily to Japan and China. 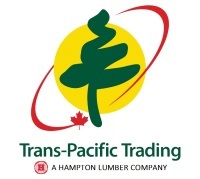 In addition to Jim, Trent Gustafson, a 20-year sales veteran and TRAPA’s Vice President of Sales, along with the entire TRAPA sales and administrative team will combine with the Hampton export team, led by Steve Kimery, to form the premier export lumber sales operation in North America. The combined team will be responsible for marketing all of Hampton’s export products making Trans-Pacific Trading the “global brand” for our offshore activities. We look forward to the future and expanding our offshore business opportunities with you as Trans-Pacific Trading.